It appears that in India, one needs to be prepared to face consequences for being honest. 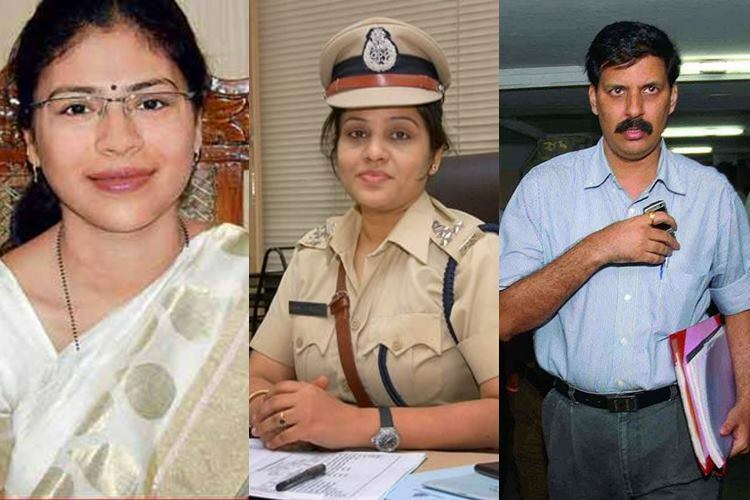 The latest officer who seems to have been victimised for exposing corruption is DIG Prisons D Roopa. She has been transferred to the traffic and road safety department, a not-so-coveted post days after she blew the whistle on alleged corrupt activities in Bengaluru jail. She had accused AIADMK General Secretary and convict VK Sasikala Natarajan of bribing top prison officials for undue favours. 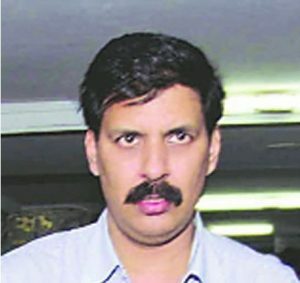 “Sasikala has given Rs 1 crore bribe to Rao (DGP HN Sathyanarayana Rao (prison)) and another Rs 1 crore was distributed among officials, including warden of the central jail where she is serving a four-year sentence in an illegal wealth case for allowing her special privileges,” said a local news channel quoting Roopa. But D Roopa is not the only officer who is paying the price of performing her duty with integrity. In fact, there is a long list of honest officers who have been targetted by those in power. A 2009 batch IAS officer, she exposed the land scam in Mohali in her first posting. 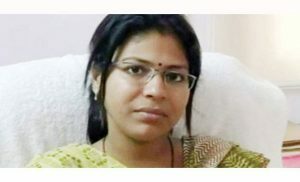 However, her moment of fame came after she took on the Sand mafia as sub-divisional magistrate of Sadar, Noida. She formed special investigative teams to launch crack down on illegal sand mining on Yamuna and Hindon river banks. She did not buckle up under huge political pressure and was subsequently suspended. However, fearing huge criticism the UP government revoked her suspension. In her action against sand mafia, she registered 66 FIRs, arrested 104 people and seized 81 vehicles engaged in illegal mining in her district. She assembled flying squads of policemen who would conduct raids anytime between 11 pm and 4 in the morning. Sangeeta took inspiration from popular tv serial of early 90s Udaan that was based on the struggle of a woman aspiring to be an IPS officer. She was shunted out in 2015 after she had an argument with Haryana Health Minister Anil Vij. The Fatehabad SP was transferred as Commandant 4th IRB on November 28, 2015 at Manesar after she refused to leave a public grievance meeting on being asked to “get out” by Anil Vij. The health minister was irked with her response to a query on illicit liquor trade in the area. Nearly three weeks after Rai demanded an independent probe into what he called a fake encounter — by a joint team of Army, CRPF, SSB and state police in Assam in March this year, he was shunted out of the North East zone in June. 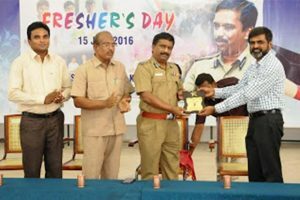 Rai was asked to join the Counter Insurgency and Anti Terrorism (CIAT) School of the CRPF at Chittoor in Andhra Pradesh. Rai sent a report to the CRPF headquarters making serious allegations on the ‘joint operation’, according to Indian Express. He had also claimed that he had witnesses in his safe custody who have identified that the bodies as those of the two men who were picked up. Tamil Nadu North Zone IG NK Senthamarai Kannan and J Mutharasi, who was then SP of Kanchipuram, played a key role in registering a case against AIADMK general secretary VK Sasikala when she was with MLAs backing her at Golden Bay Resorts at Koovathur on East Coast Resort. The two were transferred weeks after Edappadi K Palaniswami government assumed power in Tamil Nadu. They have not been given any postings. 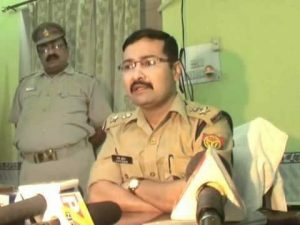 A renowned 2004 batch IPS officer, Kumar was transferred from Saharanpur after he thwarted a communal flare-up in which BJP MP Raghav Lakhanpal Sharma along with senior party leaders including an ex-MLA for violence in Sadak Dudhali village over an Ambedkar Jayanti procession. Lakhanpal allegedly instigated a mob of BJP workers to attack the SSP’s house and to engage in rioting and arson of public and private properties in Saharanpur. The arrests of senior BJP leaders alarmed the party cadre which demanded action against the police. On April 27, 2017, Luv Kumar was transferred to Noida as the new SSP of Gautam Budh Nagar. DSP Thakur won plaudits after a video showing her standing up to BJP workers went viral on social media. In the video, she is seen confronting BJP city president Mukesh Bhardwaj and other party workers at Syana in Bulandshahr district. A verbal spat broke out between them after the police fined BJP worker Pramod Kumar for riding a motorcycle “without any documents, number plate, and helmet.” She sent five of them to jail for creating obstacles in discharging government duties. However, her good work was rewarded with a transfer by the Yogi Adityanath government. After her transfer, she wrote on her Facebbok wall: “Got transfer to Bahraich, it’s nepal border, don’t worry my friends I am happy ..I accept it as a reward for my good work. .u all are invited to Bahraich”. A 1991 batch IAS officer from Haryana, Khemka has faced 45 transfers in his 23-year career till April 2015. He shot to fame in 2012 when he had cancelled the sale of 3.5 acres of land in Gurgaon near Delhi between Robert Vadra’s company and realty major DLF. As Transport Commissioner in Chandigarh, Khemka ordered district officials to penalise overloaded vehicles, which reportedly left the politically powerful mining lobby angry. He was shifted to the low profile Archaeology and Museums Department in April 2015, the same department where the previous Congress government had moved him. The 2002 batch Indian Forest officer had won the Ramon Magsaysay Award in 2015 for exposing corruption. 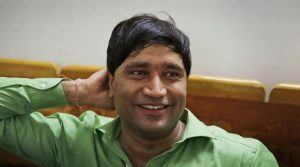 Chaturvedi has faced severe harassment for bringing to light multiple scams. He was caught in the crosshairs of the NDA government over the investigation of corruption cases in AIIMS. He has faced 12 transfers in a period of five years between 2005-2010. Several criminal cases were filed against him, which eventually closed down in his favour while he investigated several scams in Haryana. In AIIMS, as the chief vigilance officer, Chaturvedi completed investigations and took action in 165 cases of corruption over a period of two and a half years. He was removed after JP Nadda requested health minister Harsh Vardhan to take action against him.